You'll be £25.00 closer to your next £10.00 credit when you purchase Regional Tramways - Yorkshire and North East of England. What's this? This is the second of a new series of books that will cover the history of tramway operation in the British Isles. 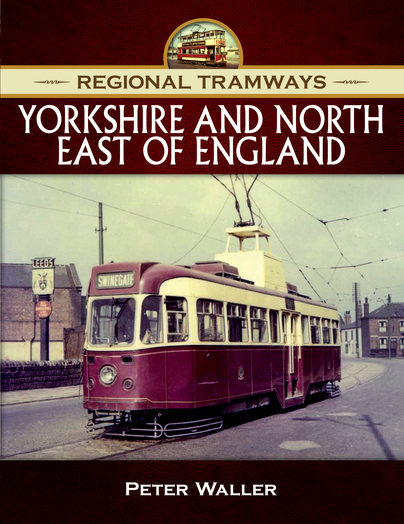 Focusing on Yorkshire and the North-East of England, this book provides an overview of the history of tramways in the region from the 1860s, when one of the pioneering horse trams that predated the Tramways Act of 1870 operated for a brief period in Darlington, through to the closures of the last traditional tramways – Leeds and Sheffield – in 1959 and 1960, respectively. Concentrating on the systems that survived into 1945 – Bradford, Gateshead, Hull, Leeds, Newcastle, Rotherham, Sheffield, South Shields and Sunderland – the book provides a comprehensive narrative, detailing the history of these operations from 1945 onwards, with full fleet lists, maps and details of route openings and closures. The story is supported by some 200 illustrations, both colour and black and white, many of which have never been published before, that portray the trams that operated in these towns and cities and the routes on which they operated. Bringing the story up-to-date, the book also examines the two second-generation tramways built in the region – the Tyne & Wear Metro and Sheffield Supertram – as well as informing readers where it is still possible to see surviving first-generation trams from the region in preservation. trams from the region in preservation. The books highlight is the photographs, which are almost all of high quality and are quite likely to be generally unknown to present-day enthusiasts. The reason for that is almost all come from the collection of the Online Transport Archive which, because of cost, is likely to be a closed book to most readers. The book is extremely readable and visually interesting. Recommended. Overall this is a lovely publication and one that I can heartily recommend, especially to those of us over 60 who do actually remember trams. The author, Peter Waller, is a director and secretary of the Online Transport Archive and that is the source of the majority of the pictures. The books are best considered as falling into the “photo collections with captions” type rather than detailed tramway histories, although they are certainly more than just picture books. London Feltham 2099 (below), still with its original number and livery, but with the Leeds crest. It soon became Leeds 501 and is now preserved in MET livery in the London Transport Museum collection at Acton.